The tilt is in full swing and I am writing you from Albert Lea, MN which is about 120 miles west of Lacrosse, WI. I should be home tomorrow late afternoon/ early evening. The heat and humidity plus our desire to get home by tomorrow contributed to us passing on such gems as the tractor museum and the South Dakota Hall of Fame. We did spend about an hour or so today at Wall Drug. Wall Drug is a place famous for being famous, but we like it plenty. In case you have never been there, it has dinosaurs, robot cowboy singers, and shooting arcades. It also boasts 5 cent coffee and free ice water. The founder of Wall Drug strung signs along highway 16 advertising free ice water in the 1930s and this snowballed into a large mall with a cowboy bent. A couple of years ago Corey purchased cowboy boots there that she has yet to wear. This time we had breakfast and bought some souvenirs. About an hour later we crossed the Missouri and decided not to stop at the rest stop/ small museum there. It was 13 years ago that Corey and I did stop to make time by the Missouri River. It was the beginning of one of our first true adventures and we met our first of many road friends. David and Ethel were in their late 70s/ early 80s and agreed to take our picture overlooking the river (this picture is now framed in our bedroom). We talked awhile and they told us that if we were still talking to each other at the end of the trip then we were meant to be. We haven’t shut up since. A couple of hours past the river we crossed I29. Corey was driving, Henna was listening to a story, and I was entertaining myself with our road atlas. I was intrigued by the perpendicular interstate and saw that it journeyed south from Sioux Falls, SD to Sioux City, IA then down to Omaha and later Kansas City. Travelling north one would go past Grand Forks, ND and then, by route, Winnipeg. I was transported at that moment to earlier in our trip when we did just that. 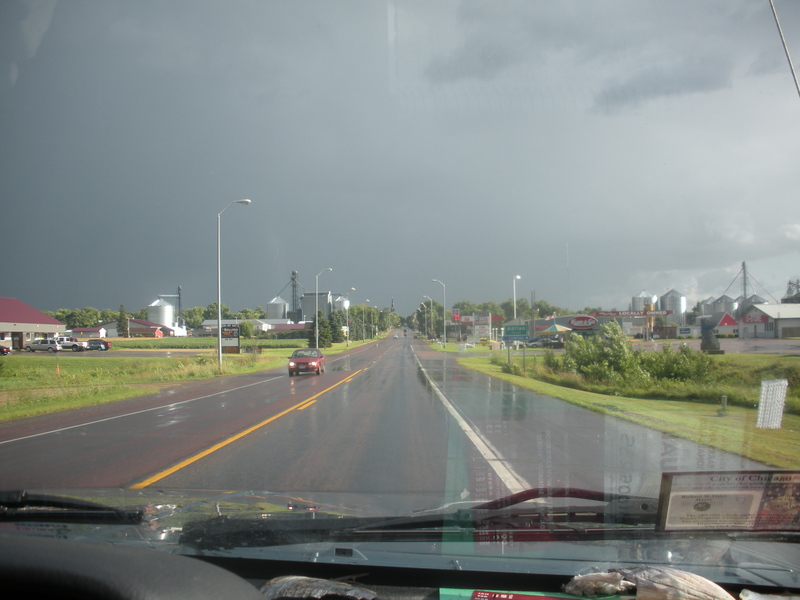 If you remember, we took route 2 to Grand Forks and then, due to flooding in North Dakota, drove past lumbering cattle trucks into ranch land and gas stations that you could neither pay at the pump or pay before you pumped. For a fleeting moment I felt that same freedom I experienced four weeks past. I thought then of all the routes and highways I have been on. There was one time when, just outside of Bend, Oregon my three-year old atlas did not anticipate a route (97) becoming a divided highway. The sudden and unexpected terror of being on something that should not exist cannot be overstated. Most times though the routes did not disappoint in what they offered; sights, interesting people, and a chance for adventure at every turn. We made time on the interstates and had fun on the routes. Over the next week or so we will edit photos (my camera’s memory card is stuffed at a little over 1,500 photos) and try to digest this trip. I look forward to the process as it keeps the trip alive for just a little longer. Over the next year we will stare at maps trying to see the grand pattern, the route that speaks most to our heart. We have several ideas for next year, but for now are leaning toward Newfoundland. I hope you check in with us often as we will continue to post for as long as we feel the pull of the road. 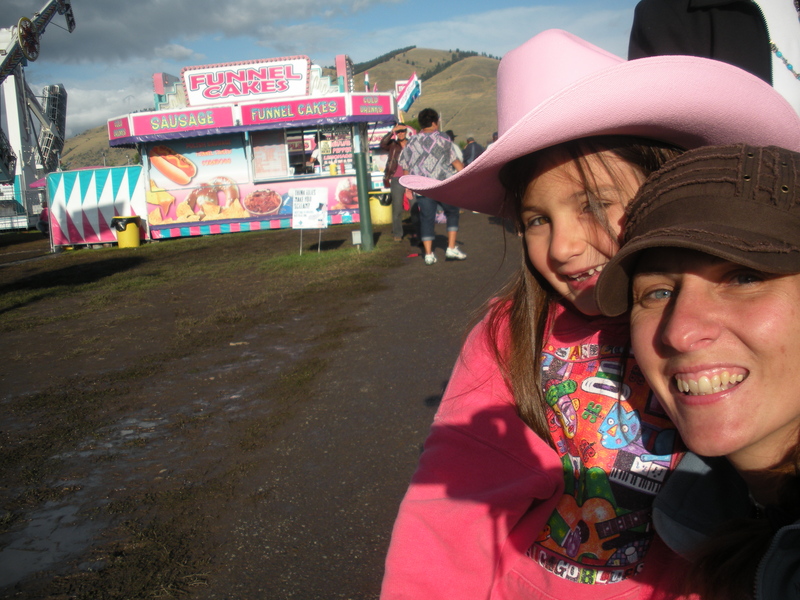 This entry was posted in Ramblings and tagged Minnesota, Missoula County Fair, Road travel, Road Trip, South Dakota, Wall Drug by hennacornoelidays. Bookmark the permalink.